Rajasthan Polytechnic Admission 2018 (राजस्थान पॉलिटेक्निक प्रवेश): Directorate of Technical Education (DTE), Rajasthan has announced the notification of Rajasthan Polytechnic Admission for the students who want to pursue engineering and non-engineering Diploma courses for the academic session 2018-2019. 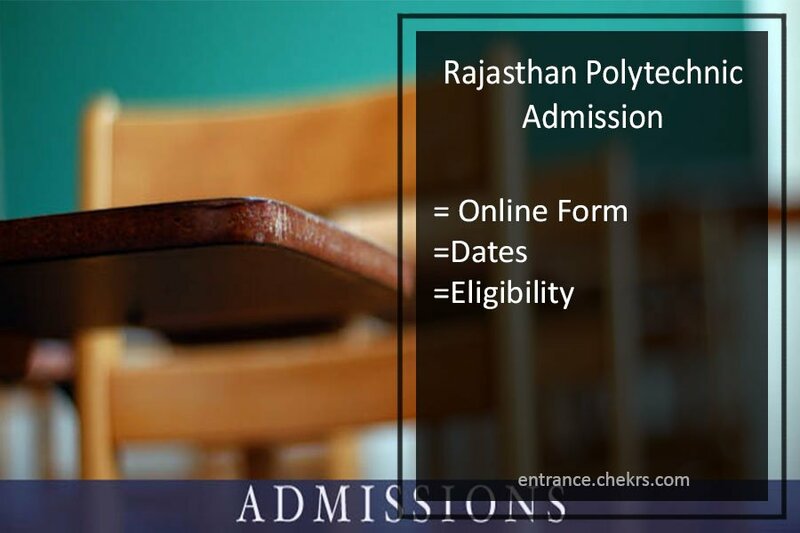 Interested applicants must therefore soon apply by filling Rajasthan Polytechnic Application Form 2018 through its official portal. The application form process has already started, thus candidates must apply before the last date. Thus through our portal candidates can check details of eligibility, Rajasthan Polytechnic Admission Last Date, Procedure etc. Latest Update: Diploma Engg. & Non-Engg. Provisional Merit List and LE Allotment List Released Ckech the Link Given Below. DTE Rajasthan has conducted the BTER Polytechnic Admission 2018 for providing admission in the diploma courses offered by the various private and government polytechnic colleges in Rajasthan. The authority is not going to conduct any kind of entrance exam and the admission will be done on the basis of high school merit list. Therefore interested and eligible aspirants must apply by filling DTE Rajasthan Online Application Form in a specified manner. All the interested and eligible applicants seeking admission in Department of Technical Education (Polytechnics), must start applying through its online process which has already started from June 2018. Therefore candidates must now fill BTER Polytechnic Online Application Form 2018 by following the step by step process as discussed below. Log on to official website dte.rajasthan.gov.in. Download the application form and take a printout of it for future use. Candidates who wish to pursue Engineering and Non-Engineering Courses must make a payment of an amount of Rs. 300 (nonrefundable) through e-Mitra/CSC Kiosk. Candidate must qualify the secondary or equivalent examination. Candidate must pass 12th with Science and Mathematics with 35% marks. Must have completed 15 years in the year of admission. There is no any kind of upper age limit. Candidates will be shortlisted on the basis of high school merit list. Below we have provided the details of Rajasthan Polytechnic Admission Date for its engineering and nonengineering courses. Rajasthan Polytechnic Merit List will be declared on the basis of the marks secured by the candidates in the qualifying examination. The merit list will be released in the official portal and we will also update you here with the same. On the basis of the merit list, the candidate will offer admission.